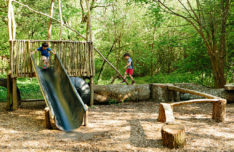 Our exciting natural children’s playground is one of our most popular adventures for our youger guests. They particularly love the balance bars, tunnel and bridge. It has been rigorously tested by our in-house design team (aka Bastie and Archie) and has been deemed ‘brilliant’. Nestled in the glampsite itself, this is the perfect way for children to while away some happy hours while you enjoy a relaxing cup of coffee. Create your own unique magical memory of your stay at Penhein. Design and create a momento from the inspirational setting of the farm, woodland and amazing views. A view of the river on a tea towel? One of the buzzards on a notebook? Or a postcard of your tent and campfire? 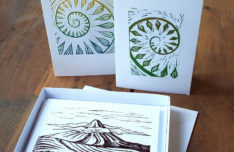 Under the expert tutelage of Rachel Cadman, an inspirational local artist and tutor, whether you’re a complete beginner or experienced in printmaking, you’ll come away from this session with newfound skills and a special souvenir of Penhein. Find the stacks of wood and coils of rope within the glampsite which are all you need to start building your Penhein den. 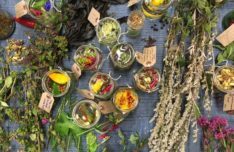 Ever wanted to go wild and learn to live off the land? Fed up with hearing about Bear Grylls? 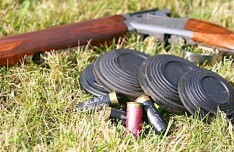 Then our bushcraft course is for you! 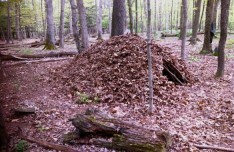 Our ex-military instructors will help you make shelters, build fires (without matches! 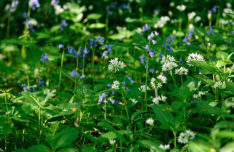 ), forage and prep your wild food on our land. Just remember that the sheep aren’t on the menu! For those who are extra adventurous, why not test your mettle in our Bush Tucker trials? Anyone want to be crowned king or queen of the woodland? 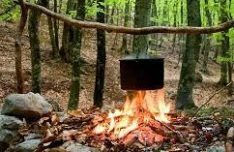 £10 per person, additional 30 mins to your bushcraft adventure. Our Junior Bushcraft course is specially aimed at the children – a fun way to learn survival skills and give mums and dads a few hours off! 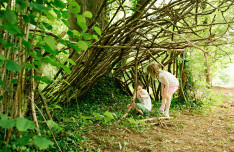 They will learn about – and have a go at – different shelters, fires and cooking skills in the woods on our farm. A great way to experience what nature has to offer. For those who are extra adventurous, have a go at our Bush Tucker trials? 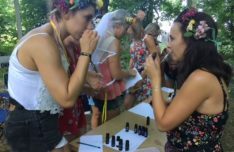 Want to be crowned prince or princess of the woodland? 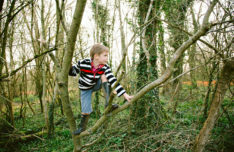 £7.50 per child, additional 30 mins to their bushcraft adventure.  Given the age range we aim to work with two separate groups based on age where possible. If there are less than two children interested we will check with other guests to see if anyone else would like to join in. Brought to Penhein by the wonderful Flying Pig cookery school led by Natasha, this is a fun, hands-on cookery class for children who want to learn more about outdoor cookery and other cooking skills. 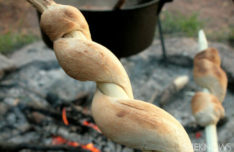 The session will include the preparing and making of 2-3 delicious goodies, such as Chapatti, Welsh Cawl or other seasonal vegetable soup, and Welsh cakes, to enjoy around the campfire (and take away if there are any leftovers!). All of the ingredients needed to make the dishes (including some that may be foraged from Penhein) are included, as is a recipe card to take home. Classes last 2 ½ hours and are aimed at children aged 6+, but younger children can attend if accompanied by an adult. 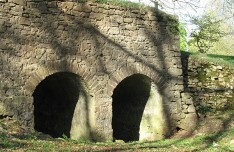 See if you can find the 18th Century lime kilns on the farm. We’ve got 450 acres for you to explore from the top of Gray Hill to the Castroggi Stream 300 feet below with woodlands and meadows galore in between. 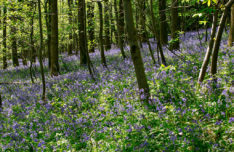 New for 2019, a trail featuring the very best of the garlic and bluebells which will be at their best in April and May. Please leave the gates as you find them, open if open, closed if closed. 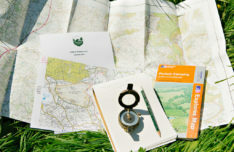 Let the children go off exploring around the site, with this great Young Explorers Activity pack to help with the fun. Filled with lots of things to do, see and collect there’s plenty to keep them occupied and interested. The pack includes a Scavenger hunt, Word search, Dot-to-dot, an Eye Spy chart and a Woodland Letter Search (spot the letters dotted around the glampsite and make the word). It is all based on nature, and it comes in a practical plastic folder with a set of crayons that they can use as their creative juices start to flow! 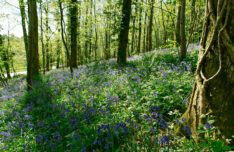 If you enjoy Geocaching, Wentwood is a great place to go. 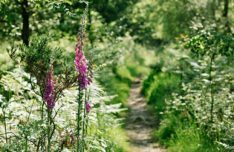 Our farm adjoins Wentwood Forest (which is over 1,000 acres) so you won’t even need to get in the car. Wentwood Forest comprises of some areas of ancient woodland (at least 400 years old) as well as some conifer plantations. It was once a hunting preserve of Chepstow Castle and stretched from the River Wye to the River Usk. 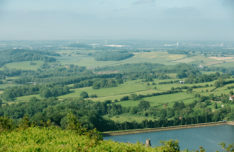 It has a long recorded history and a number of heritage sites that give clues to the past uses of the forest, so while you’re looking for the caches there’s lots to see. Head down to the stream at the bottom of the valley for paddling, poo sticks and dam building. 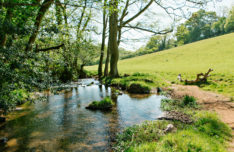 Just below our woodland glampsite is the 8 acre wildflower hay meadow that you can play around in, enjoy a picnic or simply lie back, watch and listen as nature goes by. Grey Hill adjoins our farm and is a lovely walk, finishing up with magnificent panoramic views across South Wales from the summit. 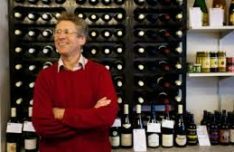 We are delighted to welcome Tom Innes of Fingal-Rock Wine Merchants to our team of advisors at Penhein. Tom has personally selected our wines for 2019 and he has agreed to run wine tasting courses as well, so we are really excited. Tom is as well known in Monmouth as in London where he provides his regular clientele with a handpicked selection of first class wines. Tom’s wine tastings are all about discovering new wines to tickle your taste buds. You will be trying between 6 – 8 different wines during the session, and he can put together a bespoke choice for you on request (e.g. all Red, all Sparkling, all French etc). Full of interesting information, there will be plenty of opportunity to ask questions and to buy some of the wine you are trying.